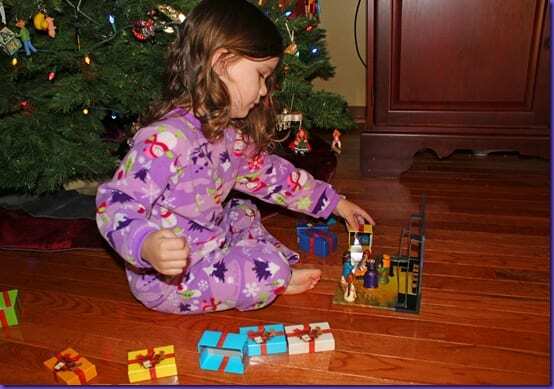 Our Favorite Christmas Set – And a Giveaway! 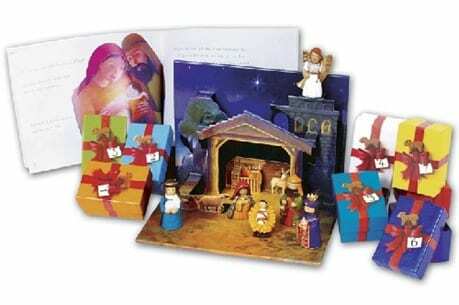 The set comes with seven gift boxes, each holding a character from the Christmas story (except for the last one), a nativity scene to put all of the characters in, and a storybook that narrates in poetry form as you open the boxes. Ali absolutely LOVES this set, and I am currently asked to read it to her (while she opens the boxes) at least three times a day, let alone all of the time she spends playing with the characters and boxes on her own. 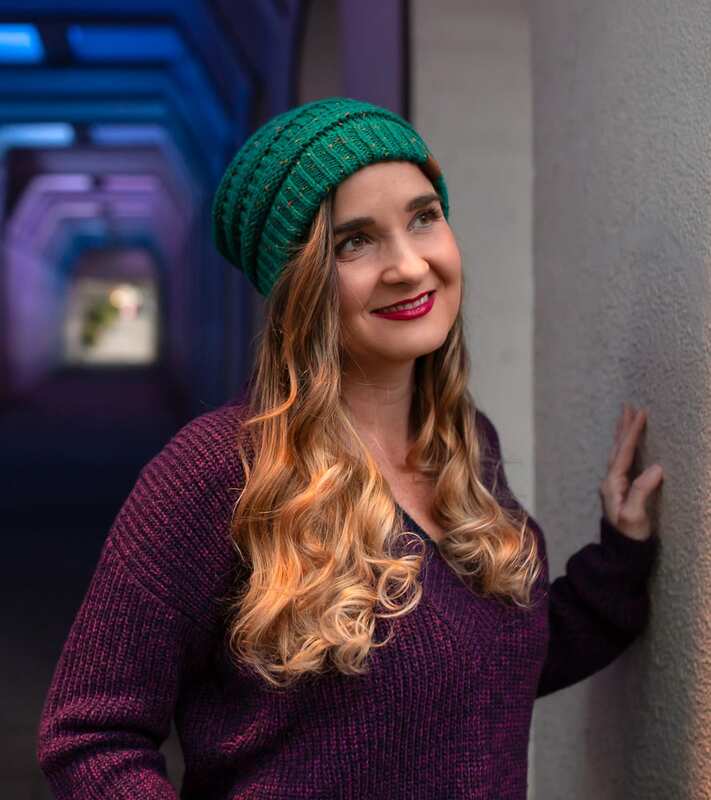 The story goes through each character and how they fit into the Christmas story, all along hinting that in box number seven, we’ll find out what God wants for Christmas. When you get to box seven, there’s no figurine in it – just a mirror in the bottom of the box. 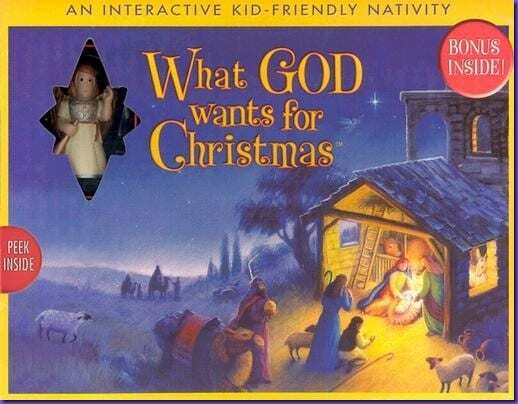 It then talks about how God wants us for Christmas and presents the gospel in a way that kids can easily understand. The book alone is a wonderful treasure, but the boxes and figurines really make it come alive and fun for kids in a brilliant way! And then her uber-organized life dreams are fulfilled! 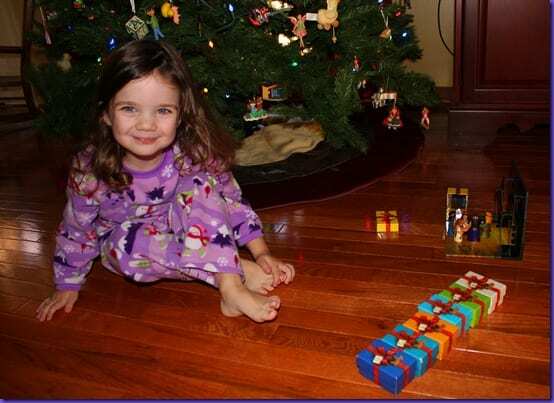 At any rate, this set has been invaluable in helping us focus on the Christmas Story and in giving Ali an awesome Christmas Nativity set of her own to play with. And I love how it ties the concepts of presents in with the Christmas story – how Jesus is a present for us, and we are a present for God. 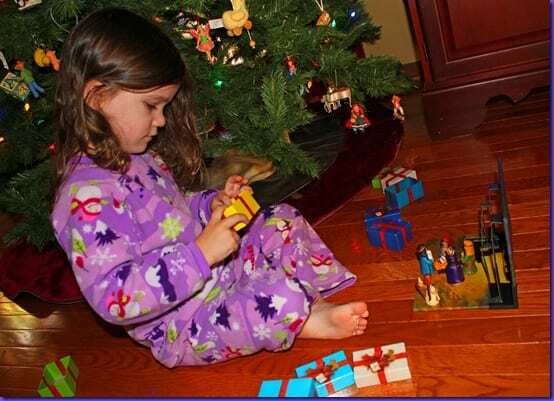 It’s a wonderful way make Christmas make sense to kids! Since I love this set so much, I wanted to share it with you guys, and the company that created it, Family Life, offered to send me FIVE sets to give away to you! And, with one of the sets, for the Grand Prize, they’re also sending along another gift, “The Ultimate Christmas Party”, which isn’t available for sale but only for giveaways. 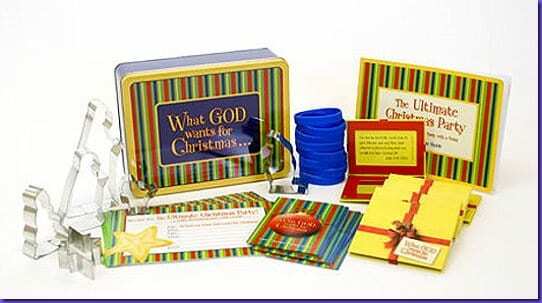 It’s a cookie tin that includes a booklet for planning and recipes, 8 “What God Wants for Christmas” mirrors, 8 printed postcard invitations, 9 Christmas tracts for children, 6 nativity cookie cutters, and 8 bonus favors. It would be an awesome excuse to have a kid-centered-Christmas get-together! If you would like to win one of four “What God Wants for Christmas” sets or the grand prize of “What God Wants for Christmas” Plus “The Ultimate Christmas Party”, simply comment here to win! Since I want to try my absolute best to get the winner’s sets to them before Christmas, the giveaway time limit is shorter than usual – this giveaway will be open until Wednesday, December 8th, and I will announce the winners on my giveaway winners page on Thursday, December 9th. If you win, be sure to email me back quickly so that I can get your set out to you! Disclosure: I was not compensated in any way to tell you about this product or run this giveaway. I wanted to share this product with you because it is very special to us. Obviously, my opinions are always my own, and Ali’s opinions are most CERTAINLY always her own. Previous Post A Worthy Addition for Your Christmas Wish List. Great giveaway! We need all the reminders we can get about the real reason for the season! aw, what a cute set! 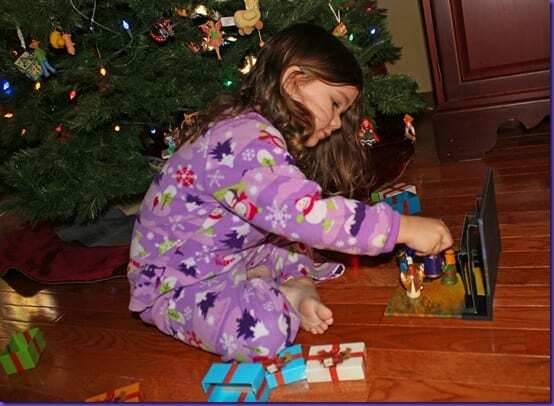 I’d gotten the little people naivety set for us to play with during the season a couple of years back, which immediately became a regular toy staple instead of the seasonal treat it had been intended for. and then we lost baby Jesus…. so it’s pretty much just become a barn with an angel. Raising hand like a mad woman! Please pick me! My 3-year old would love this! It would be a great way to show him that he is God’s gift! This is adorable :) My family isn’t overly religious, but Beege has started asking questions about things, like “Why is there Christmas?” and it would be great to have a fun way to explain it to her. And on twitter, too (prairiecottage). My kids are grown but they STILL love to do stuff like this. I’d live to start this tradition with my grandkids one day. What a treasure this will be!! You know I follow the blog. And this looks so cool! This definitely needs to go on our Wishlist! What a wonderful book and idea. Love the idea behind this book. Would love this for Ella or a great present too. Decisions, decisions. We used this in the 3 year old Sunday School class a couple of years ago. It is so precious. I hope I win! What a cool concept! I’d love it for my girls. I love Christmas stuff geared to kids. This looks neat! I love this! I haven’t seen this before. If I don’t win, I might have to just buy one for Ethan. What an awesome nativity set and I love the last box, what a great way to explain God’s love to kids! This is great. I follow you and I’m pretty sure I need this more than my daughter! This is great! Perhaps if we had this, Grayson would quit stealing baby Jesus from our nativity set. Yeah I am so glad to see it put to great use!!! Love it! My kids are just getting to the age where they would understand & play with it. I would LOVE to win this. I am expecting my first child, and my husband and I want to always teach her that Christmas is about Jesus and the gift the He has given us. Rachel, You have your mom’s teaching heart. Awesome tool! Me too would love to have this for my grandsons. I have #5 grandson coming in April. 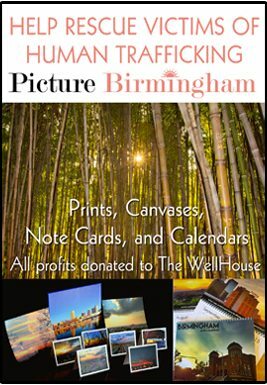 What an amazing giveaway! I would love to have this! What a beautiful set. I’d love to have one. Also, am a follower of your great blog! I love this idea. We don’t have a nativity set so this would be perfect for my little girl! I would love to win this for my children! I would love to win! This is such a great idea – I have been looking for something to help my young son understand what Christmas is all about! I did subscribe to your blog! I follow you on Twitter and Facebook!! (Oooh – pick me, pick me…) This set looks pretty awesome. I especially like the sound of the seventh gift – so creative. PS I didn’t know you had a giveaways page, and curious I went to look at your link. It told me “You 404’d it. Gnarly, dude.” Not sure if that’s because it’s not Thursday yet or if something is broken but thought I’d mention it. we need a kid friend nativity set around here. That is awesome! My siblings would love one! :) Great giveaway. I need e one of these. p.s. have you used Elf on the Shelf? If you or a friend has I wanna know what you think. I follow you on The Twitter, too! My girls LOVE little things like this. Thanks for sharing! ♥ it! The kiddos would have a blast with this!